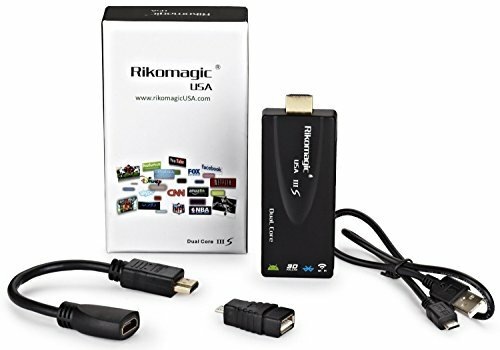 The RikomagicUSA is a small computer that’s a little bigger than a USB flash drive; it connects to your TV via its HDMI connector and has wireless connectivity to allow connection to the internet and other wireless devices. The RikomagicUSA gives you access to a huge selection of apps, it’s a bit like turning your TV into a giant tablet! 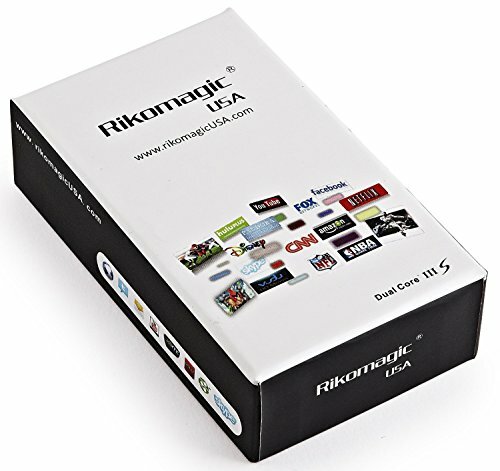 The RikomagicUSA is a smart device that gets updates often to make your TV accessible to the internet and to use it like a computer with NO LIMITION such as a traditional smart TV, with endless updates and upgrades, downloads and product development of RikomagicUSA the sky is the limit. The RikomagicUSA is the leader in advanced technology to create full range of Multi Media fun for the whole family. With our advanced technology you can use our device with anything and everything.Enjoy Full HD 3D Movies, Live streaming Sport and TV shows from Hulu Plus, Netflix, Amazon, Vudu and much more. Listen to music with Pandora, Spotify YouTube and more. Playing Games in full 1080 HD and with the super advanced Quad Core Technology is real fun. You can check e-mails, open files and create documents including Power Point presentation and store it on our device directly, send e-mails or take the device with you to the office and continue working, you can show live presentations. All of that and more can be done from your sofa through the screen of your TV. 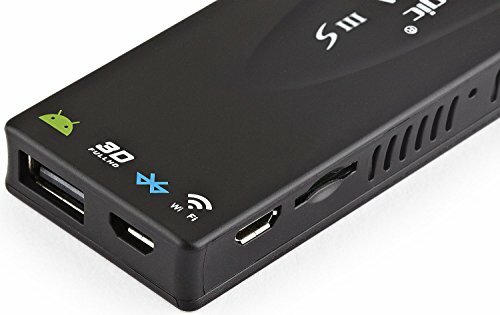 RikomagicUSA can be used as a media center to play HD films/movies on a large display, it can also be used as a games console by connecting a compatible controller and as there are literally 1000′s of Applications available from the Google Play Store, therefore the only limit is lake of imagination! RikomagicUSA is controlled by a wireless controller, simply plug in a wireless mouse or keyboard and you can browse the web, check emails, blast some zombies, listen to music or download a movie right from the comfort of your sofa.